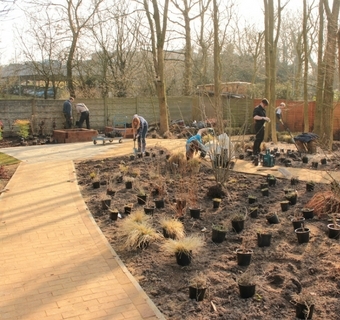 In 2013 Greenfingers opened a much needed garden to complete the new teenage wing at Derian House Children's Hospice in Chorley, Lancashire. 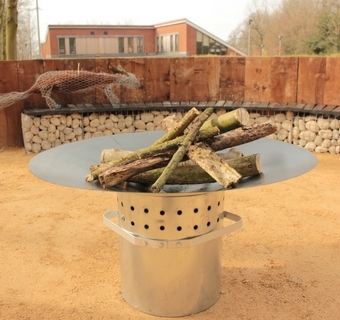 The Lodge is a purpose built unit to cater specifically to the needs of young adults between the ages of 16 and 25 who have sometimes spend most of their young lives in and out of hospice care. Teenagers and young people like to feel a degree of independence, freedom to interact with their peers and wanted their very own place in the garden to chill out, kick back and relax with friends, just like young people anywhere. 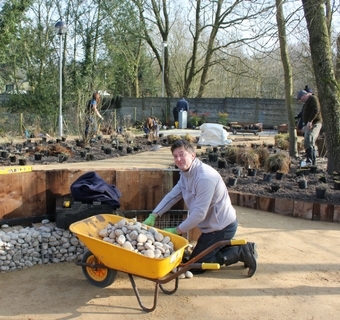 After listening to the wishes of the young people at Derian House, Greenfingers Charity started work to transform an overgrown patch of woodland. Subtle LED lighting was cleverly incorporated into the landscaping and means that the views of the woodland garden from the hospice are stunning day or night. 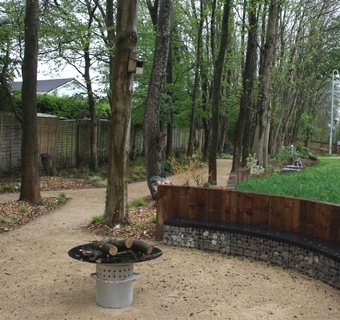 The Woodland garden at The Lodge is now a much loved outdoor space that gives the teenagers and young people who spend time here seclusion and privacy and the respite they need from the hospice environment.